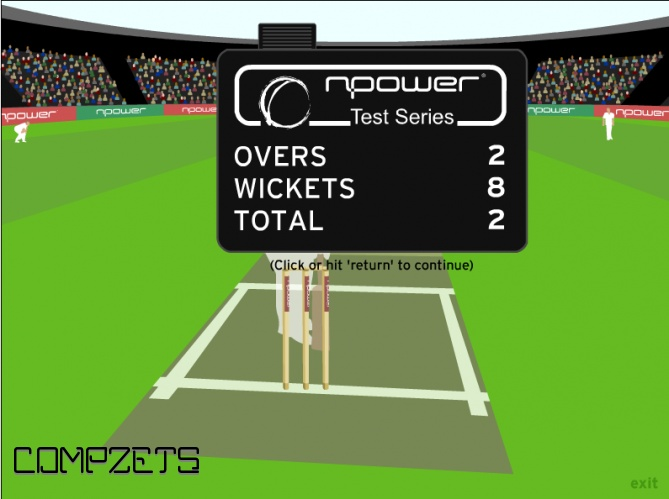 The Npower Cricket test series is an ancient flash game, Cricket is one of the most played game around the world. India is one country that does not see beyond cricket, football and hockey are played on a lesser extent. 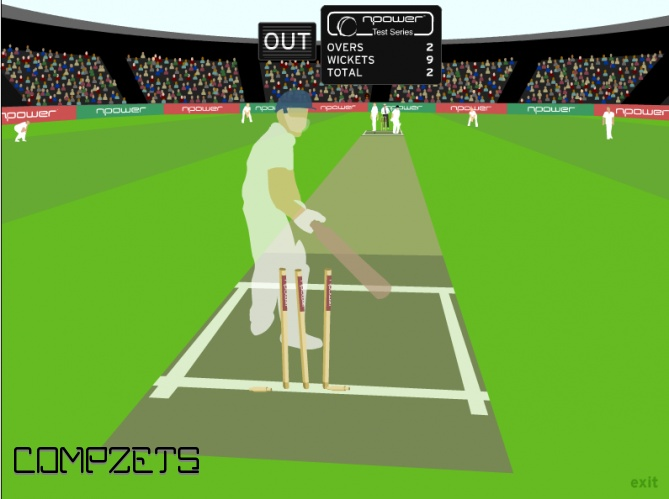 Cricket was brought to the world by the British, although this online cricket game does not involve much of the original game only one aspect of it, thats the batting. Use the arrow keys to bat. Timing is the essence of the game, all you need to do is try to get a high score. There are ten batsmen and eleven overs in this version of Cricket, post a screen shot of your score if you manage to beat mine in the screen shot above! 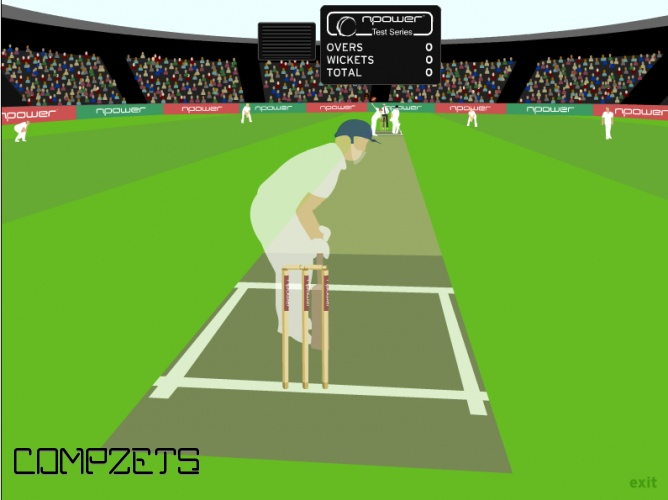 To play, you need to decide whether the ball is going left, straight on, or right once it has been bowled. Then use the mouse or cursor keys to hit it; but remember - timing's the key! You've got 12 overs and 10 wickets to build an unassailable total! The scoreboard is displayed in the background to help you keep track of your progress and at the end of the game you can enter your score and join the battle to become the highest scoring team in the UK.